Currently, this work takes two forms: 1) developing civic leaders who work with others to unlock the civic potential of their communities; and 2) removing barriers that prevent certain populations from fully participating in their communities. That’s the takeaway from the very first Obama Foundation Training Day held in the Greater Grand Crossing neighborhood in Chicago on October 14, 2017. We designed the day to bring together a diverse group of 150 young people from all over the city to explore their own identities as leaders, articulate challenges and opportunities in their communities, determine the change they wanted to make, and develop a path to make it happen. We expected revelations. Big ideas. A newly invigorated community of change-makers. And we got just that with Table B. After meeting at the Chicago Training Day, Table B—a randomly assigned team made up of peer advisor Robert Emmons, University of Chicago student Malay Trivedi, University of Illinois student Diana Villalobos, and Loyola University Chicago student Brendan Epton—brainstormed over email and conference calls before landing on a shared interest: educational inequity and the belief that every student deserves the same opportunities, regardless of where they are born or how much their family might earn. That’s how UniTeach: Learn one. Love one. was born. The group founded UniTeach to empower Chicago-area students with diverse socioeconomic backgrounds to raise their voices and become civically engaged. The pilot program launched in May 2018 at a charter school in Chicago’s Auburn Gresham neighborhood. 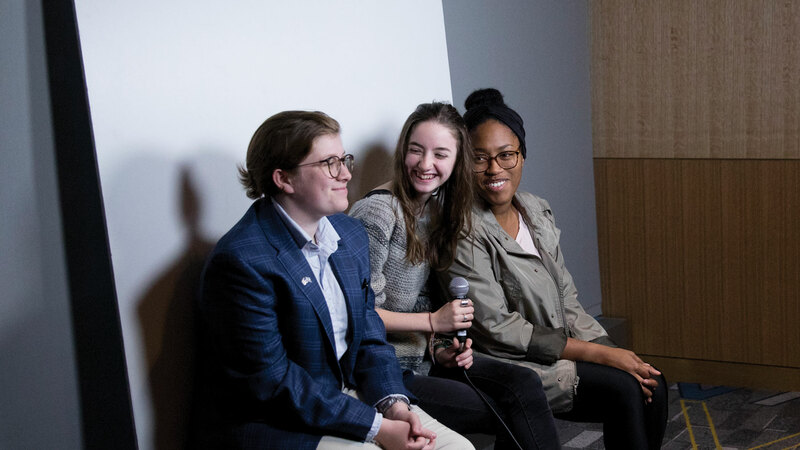 The UniTeach team spent an hour per week with around 30 eighth-graders, guiding conversations about changes the students would like to see and giving them a crash course in civic engagement. All four members of Table B credit the Obama Foundation for not only connecting them to one another, but to additional resources that help them create curricula for their students. Though still in its infancy, UniTeach created a board of advisors and is actively raising money to support its goal of enlisting younger generations to get involved. They’ve also filed for 501(c)(3) status. Obama Foundation Training Days energized young people—particularly those who were not yet engaged in civic life—to make a positive difference in their community. The participants, generally ages 18 to 24, learned how to use their own story as a powerful tool for change and how to take concrete, simple steps to organize around the issues they care about. Programs were designed in collaboration with a diverse set of organizations, from universities to churches to opportunity youth organizations. In order for America to prosper, all of our children must have a level playing field and equal opportunity to thrive. That’s why President Obama launched My Brother’s Keeper (MBK) in 2014 to address persistent opportunity gaps and ensure that every child—no matter who they are or where they come from—can achieve their dreams. In 2017, the Obama Foundation became the home of the My Brother’s Keeper Alliance, a private-sector initiative inspired by MBK. The MBK Alliance serves as a national call to action to build safe and supportive communities for boys and young men of color where they feel valued and have clear pathways to opportunity. Young men like Malachi Hernandez. Malachi was 16 when he became an inaugural member of Boston’s MBK Advisory Board. As one of five children raised by his mom in an underserved Boston neighborhood, the odds were stacked against him. But thanks to a devoted mother, a lot of determination and hard work, and one-of-a-kind mentorship and leadership opportunities he found with MBK-Boston, Malachi thrived. 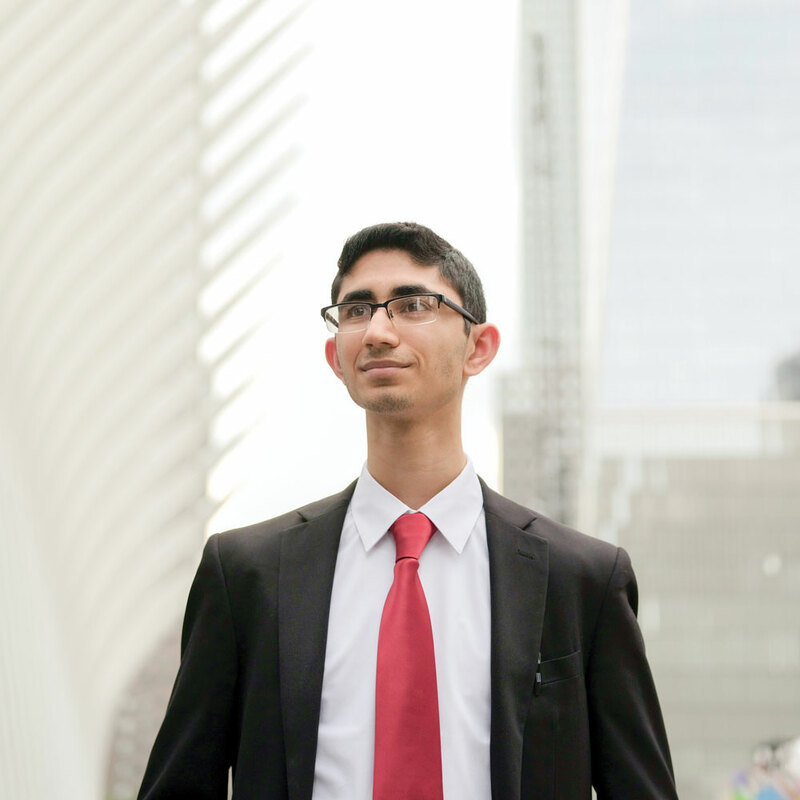 He learned skills that weren’t taught in his school, like networking and speechwriting, and found his voice and leadership abilities. More importantly, as he told President Obama at a 2015 roundtable, he now knows that he matters. At the Brandenburg Gate in Berlin in front of more than 70,000 people, President Obama sat down with Chancellor Angela Merkel and four talented young leaders from Chicago and Germany to discuss the important role young people play in shaping a better future. During trips to Indonesia and Brazil, President Obama, alongside members of the Foundation, joined roundtable discussions with dozens of young people to learn more about the work they are doing to serve people in their communities and what the Obama Foundation can do to support them. 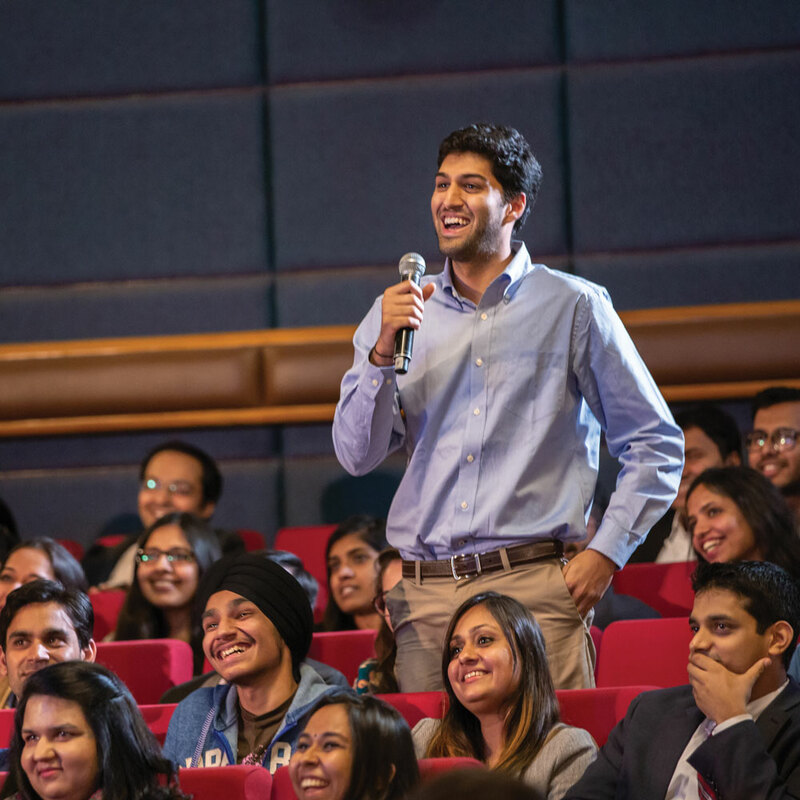 And in New Delhi, the Foundation convened a Town Hall with the President and nearly 300 emerging leaders—authors, artists, entrepreneurs, and civic leaders—from across India to discuss active citizenship, challenges they face in their work, and opportunities to bring about positive change. Foundation members also traveled to China, Nigeria, South Africa, and Colombia to speak with young people about how to become more engaged in their communities and learn how the Obama Foundation can empower, equip, and connect them. In all of these places, we found that young people are putting in the work—helping girls stay in school, building businesses that create employment, working across divisions to reduce conflict, and bringing medical care to rural communities. And they’ve asked us for help. Training. Networking. Mentorship. Providing tools for them to more easily create change. That’s where our focus now lies, and how we can—and will—make a difference on a global scale. When we invest in one leader, entire communities benefit. That’s the idea at the heart of the Obama Foundation Fellowship—and what makes our approach unique. We want to lift up people who are doing creative and powerful work in a community-driven way. We look beyond the “usual suspects” of civic leadership to find individuals who represent a broad range of approaches to civic engagement—organizers, inventors, artists, educators, and more. We’re investing in individuals who are ready to take their work to the next level so we can help maximize their impact. We intentionally seek out innovators who haven’t yet benefitted from a fellowship or similar opportunity. It’s not just the “what,” it’s also the “how.” Embodying the values of the Obama Foundation is just as important as the work our Fellows are doing. The Fellowship was announced in September 2017, and the response was extraordinary. We received over 20,000 applications from people around the world already doing incredible work in their communities. After seven months of reviewing applications and interviewing candidates, the first class of Fellows was announced in April 2018 and soon joined us in Chicago for their first of four in-person gatherings. Throughout the two-year program, each Fellow will pursue a personalized plan to leverage the Fellowship’s offerings to take their work to the next level. How can a fellowship program help those with a proven commitment to bringing about change do their work in bigger, better ways? In designing the program, we first explored what was working in leadership development, what was missing, and what the Obama Foundation could uniquely bring to the table. The Fellowship we ultimately created combines best-in-class elements of existing leadership programs with the Foundation’s unique advantages: our ability to connect leaders to the peers, collaborators, and mentors who can help them boost their work, and our platform to lift up the stories of successful leaders, inspiring others to join.We see this first cohort of Fellows as one that will help pave the way for years to come, because they will help us co-design the Fellowship. While we hope they leave this program better equipped to design solutions for their communities, we also know that the Foundation will benefit greatly from their insights on how to support leaders around the world. Melissa Malzkuhn, Motion Light Lab, Gallaudet University, and Ink and Salt LLC, Washington, D.C. The Obama Foundation Summit had no shortage of big names—Prince Harry, Common, Rashida Jones, Lin-Manuel Miranda, Dolores Huerta, José Andrés, and of course, President and Mrs. Obama—but big ideas took center stage at the two-day event held in the fall of 2017 in Chicago.